If you're looking for a creative, fun date idea (and who isn't? ), we've got you covered. RIDEhome, a neighborhood bike shop and coffee bar is the perfect place for your next romantic outing. A bike shop, you say? For a date? YES! With RIDEhome’s Picnic Date Package, a romantic afternoon date is just a ride away. Far better than dinner and a movie, RIDEhome’s Picnic Date Package is not only a great date option, it's also the perfect way to get a little exercise and support local Worthington businesses. 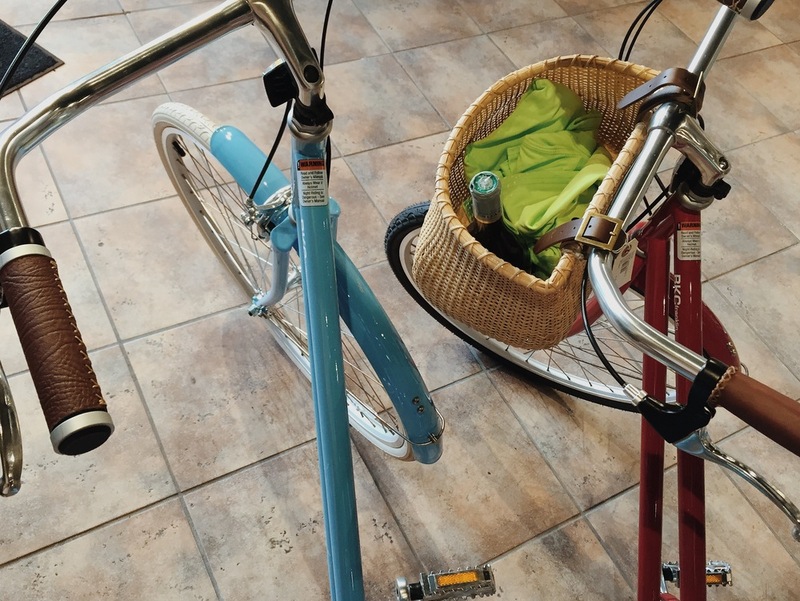 The package includes a full day of two Brooklyn Bicycle rentals – equipped with a lock, map and basket, a blanket, a bottle of wine from House Wine, two sandwiches from La Chatelaine and a candle from The Candle Lab.